Firebase function will let you run your code on any event occurrence of firebase or on any request call. It will let you deploy your code on its server environment. For some basic information, you can view this video. 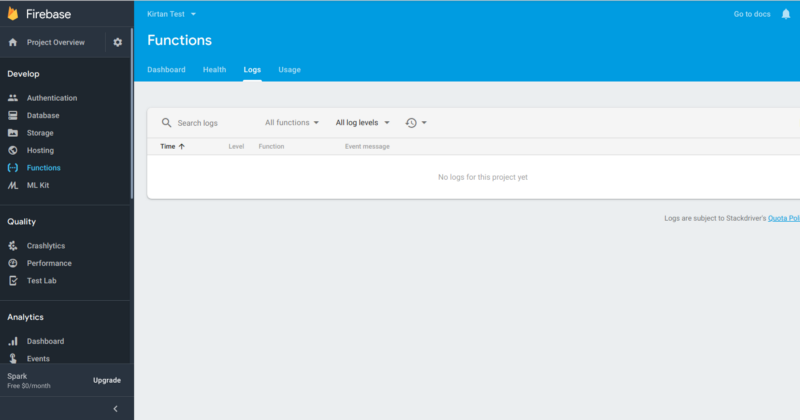 Below are the steps to start with a simple firebase function (sends push-notification to provided user’s FCM token)which will be triggered on event-triggered on cloud Firestore database. Its servers will listen for events and run the function when the event is triggered. 1. First, to run functions you need to install Node and npm. You can refer link. 2. Once you have installed it you need to install firebase-CLI, from where your firebase functions will be managed. It will install firebase commands globally. 3. Sign into your firebase using your google account. It will connect your local machine to Firebase and grants you access to your Firebase projects. You should have one firebase project in which you can deploy your function. It will prompt for permission to gather anonymous usage data before displaying a browser window in which you need to select the Google account associated with your Firebase development project. Select an account and agree to the terms and conditions, after which you will be successfully logged in. Now your project has been created. 5. Edit the file index.js to write your code and add below lines. Below code is used to send push notification for a user with his/her fcm_token. Make sure that specified collection_name and its document_id must be present in your cloud firestore database. And this function will be triggered on any updates of the document. 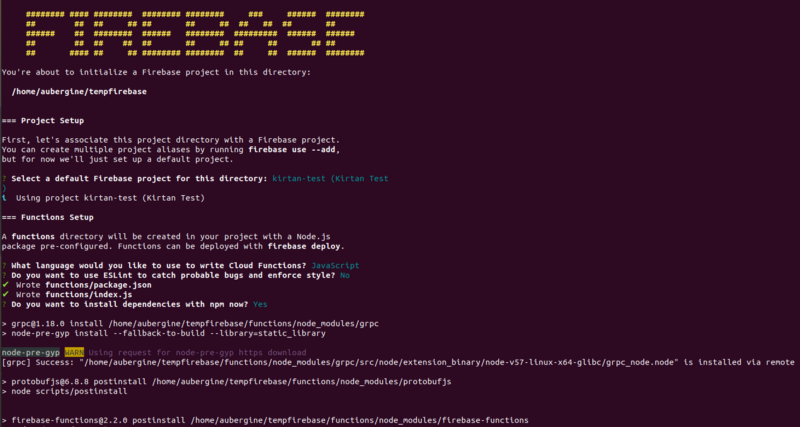 After you run this command, the Firebase CLI outputs the URL for any HTTP function endpoints. And now you are ready to roll. That’s it, this is how I created my first firebase function.